The St. Louis Horticultural Society has a fun and creative activity planned for June 16, 2012. 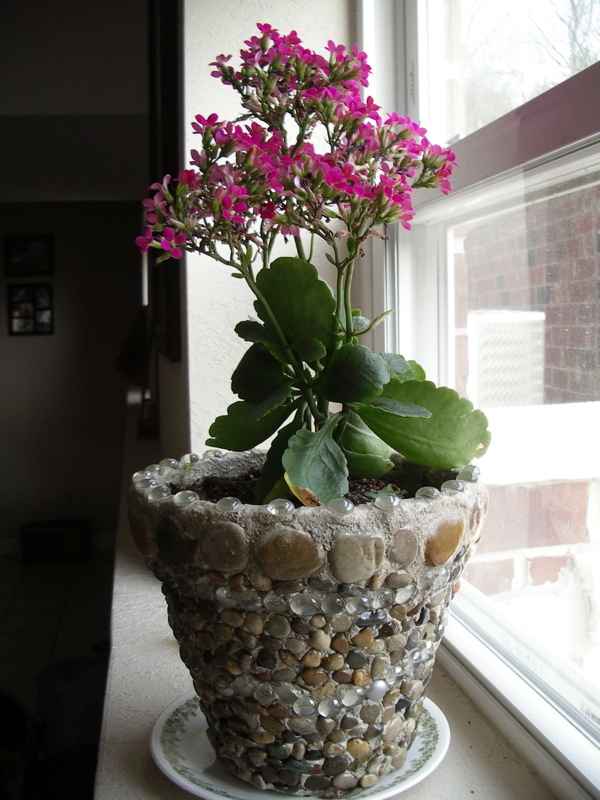 We will meet at Barb’s at 1:00pm where she will teach us how to decorate clay pots using mortar and decorative stones which are later sealed so they will be usable inside or outside. We will try to make our pots outside in the shade but if it’s too hot we will work inside. All supplies needed will be in the newsletter. Please reply by Wednesday, June 13, 2012 so we have enough supplies for everyone. Creating Rock Pots Highlights: What a wonderful day and activity!! Barb welcomed us into her lovely home to make Rock Pots. Barbara lead the group with perfect instructions that were easy to follow and everyone had a fantastic time making their own creations. All were completely unique. Some members used only natural stones, some all decorative gems and some did a combination of both. One member even used Mardi Gras beads. Check out our photo section to see us busy making our pots. Thank You Barb for your hospitality and your wonderful Rock Pot Project! Thank You also to everyone who brought a snack or refreshment to share, especially the edible “rock covered” brownies.